I used my new deep tart pan that i bought in Jkt for this pie simply cos i had planned to use lots of bananas and a bottle of dulce de leche that i got as a gift each time hb's Argentinian supplier is in town.. mmmmmm HAVANA.. how i miss that cafe... i miss their coffee.. i miss their chocolate.. i miss flying on a 30 odds hrs flight to Argentina... eerrrr NOT!!! 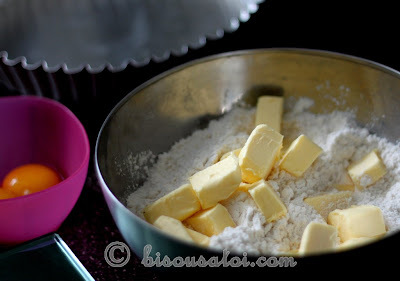 Combine the flour, butter and sugar in the food processor and process until well mixed. Then mix in the egg yolks and process in small bursts until the mixture appears crumbly. Add the water a little at a time. As the crumbs get larger, turn the motor off and check that the pastry will come together when pressed between your fingers. Turn the mixture on to a clean board or bench and work very gently into a ball. Refrigerate for 30 minutes. Place the butter and sugar in a non-stick pan and heat gently until the butter melts and the sugar dissolves. Bring to the boil and simmer for one minute, stirring continuously using a wooden spoon. Remove from the heat and add the milk and condensed milk. Return to the heat and bring to the boil. 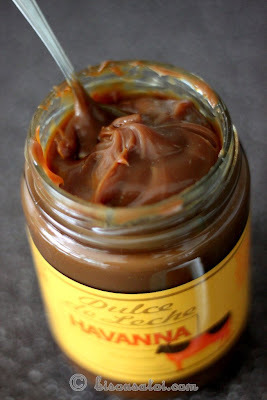 Allow to gently bubble for 5-6 minutes, stirring continuously until the mixture thickens and turns a light golden brown. Cool slightly. 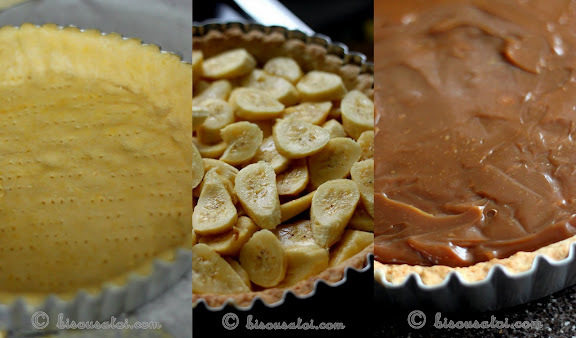 Cut the bananas and put them on the base of the pastry. Pour in the caramel mixture. Leave to cool then chill for at least 2 hours. 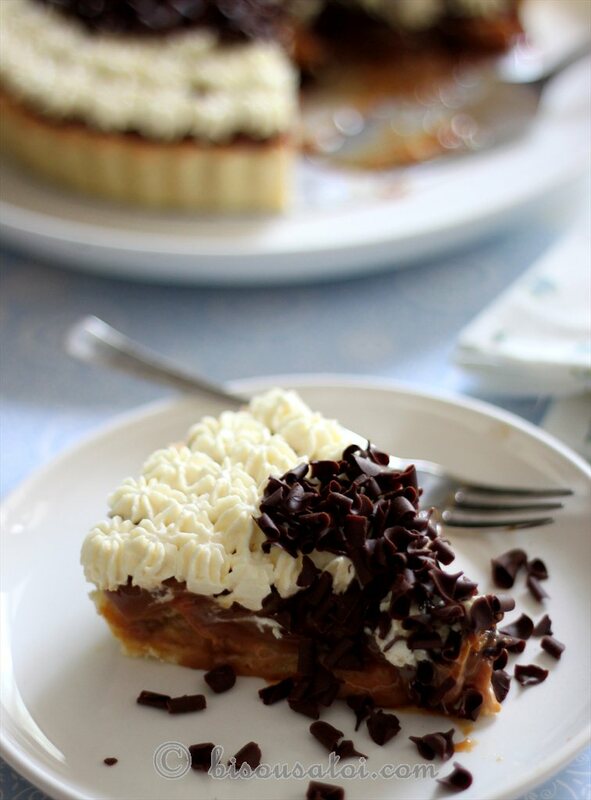 Serve topped with the whipped cream, spooned or spread over the caramel, and the grated chocolate. (You can always use your piping bag and noozle! Feel free to use nuts instead if u like). Well ok peeps.. hv a good weekend.. Rima has a car today and shes going on a date with her little princess to buy her a new pair of boots and a few winter clothing!! Cheers!! "chomp..chomp?" .. kedengarannya seperti you're calling my nickname aje. Gosh Rima, tak baek tau..
Niway, since you dah ada Havana tu, you dont need to boil condensed milk for long to make the caramel; or rather you memang tak guna condensed milk, is it?? 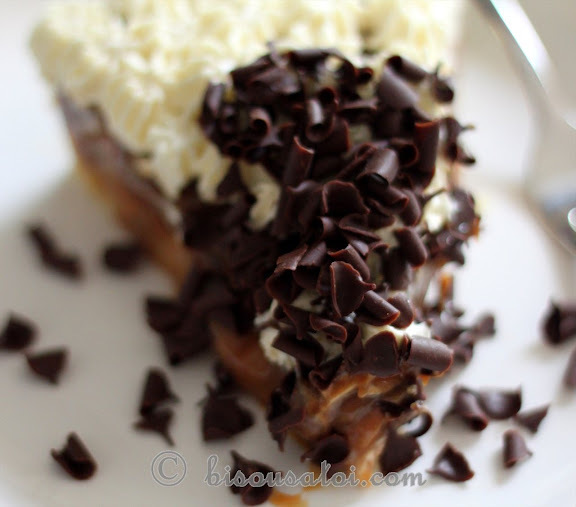 OHHH i love banofee pie sooo much!!! must try this la..dulu pernah buat but i just use digestive biscuits je for base..yours nampak laaagi best! Babe that is a seriously yummeh banoffe..just looking at the pics makes my mouth water.. ni mortuary opis sejuk gilosss...kalo ai dapat makan tu sepotong with that hot cuppa...i shall be in heaven...yeahbedah-bedu !!!!!!!!! but ai dun not want to have to make dulce de leche..where to get ready-made my friend?
" OMG this is H.E.A.V.E.N.. I just had it for breakfast!! muahahahaa "
this looks absolutely inviting, I love DDL, I am going to make this someday! Thanks for sharing. Hana.. kok kat gambar nampak macam slim aje.. eh jangan bedek ah.. mana ade gemuk.. if u makan itew pie sendiri pun masih boleh lagi maintain keayuan mu cheeeebahhhh..
LOL Babe.. macam flinstone pun ade bila u buat yabedabeduuu hahaha.. i heard u can get it ready made kat cold storage but ah just now i went to centrepoint punya CS.. tak dak pong.. maybe only kat specialities punya supermarket kot.. 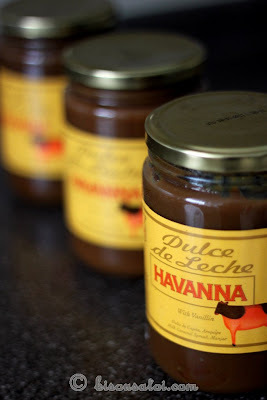 I will let u know if i see one ok..
No worries Jess... i get a few big bottles in one go and if i dont think of a way on how to get rid of it bef its expiry date i will feel guilty cos he was kind enough to hand carry it fm Argentina especially for me.. 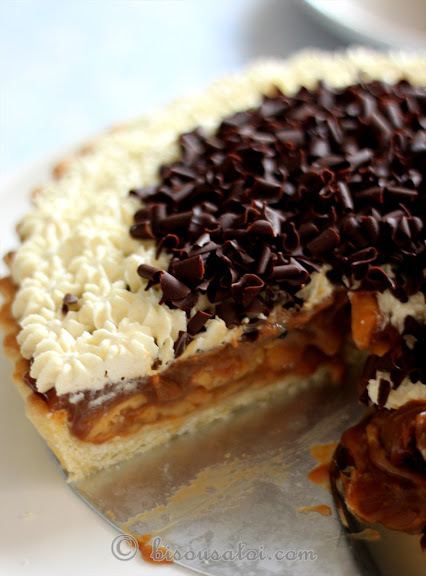 Try this pie cos its super awesome! Baru perasan baca resepi memalam nih..u use 10 pisang eh...must be pisang kementot..near raffles place ada jual pisang kementot from that fruit stall Sun Moon...so I guessed u pakai pisang kementot kan..kihkihkih..
LOL Babe.. kita pisang kementot tak main ah... haha.. eh seriously.. i used the normal pisang.. kan i kata i use the deep pie dish .. i memang plan nak pakai banyak pisang in my pie.. lagi sedap..
OMG! That looks sinfully delicious!!! I will definitely make that at my next dinner party! I think they will look awesome in little canape size! You've inspired me! Yep u shud.. its delicious and its presentable.. ur guest will love u for this! 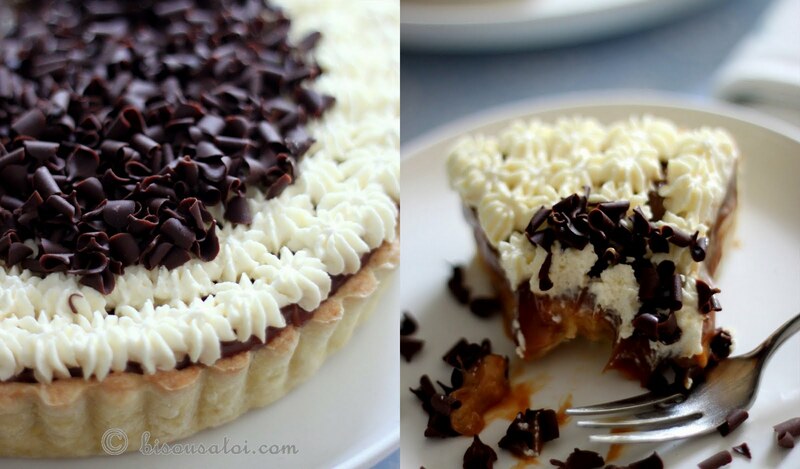 hi rima, ur pie looks so yummy.... anyway ada different ke basic food processor and the expensive one? blade food processor utk buat pastry/cake macam mana le rupenyer? When will u be in S'pore?? yup, tak penah buat cake or muffin yg guna banana. goreng pisang slalu laa.. tu la... tgk ur pie tu, iskk... lawo sungguh.